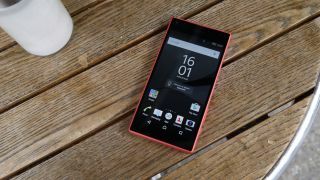 Sony'a newly-launched smartphone range included the Xperia Z5 Compact last week, a smaller version of the the Xperia Z5 and Xperia Z5 Premium - but Sony doesn't seem to think it did well enough. Rumours suggest an Xperia Z5 Premium Compact is coming to Japan soon, packing the sort of features we'd rather the current Compact had launched with, as it only had a 720p screen and smaller battery than its brothers. The Premium Compact will feature a 4.6-inch Full HD display, 4GB of RAM and a slightly larger battery at 2900mAh. That's paired with the same Qualcomm Snapdragon 810 chipset, 23MP rear facing camera and 5.1MP front facing camera as we saw on the Xperia Z5 Compact. That's all spec we'd like to have seen in the original Xperia Z5 Compact instead of a slightly lacklustre screen resolution and 2GB of RAM. It's no wonder Sony is working on a higher spec version of the Xperia Z5 Compact, but this is going to be a more expensive device, and the Japanese brand needs to hit a certain price point for the it's smaller handset. There's no word of an official release this may turn out to be an elaborate hoax but it wouldn't be a big surprise if Sony put Japan, a key market for the company, ahead of the rest of the west.